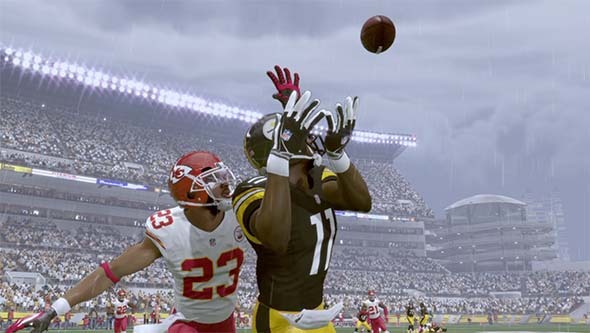 One of the most glaring problems with Madden for many years now has been the passivity of offensive receivers. They've been completely unwilling to make any effort to track the ball in the air and go up and get it. Often, underthrown balls would be easily intercepted because receivers would mindlessly run their route and never make an effort to come back towards the ball to catch it. This, combined with defensive backs who always had eyes in the backs of their heads, lead to a lot of interceptions and a very frustrating experience in the passing game. 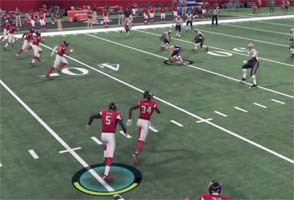 This year's Madden finally makes some effort to address this problem, and I honestly thought that this might finally be the year in which things started to really come together for this series. 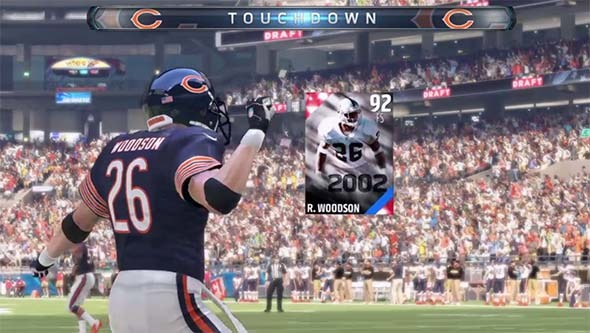 I wasn't expecting Madden 16 to suddenly be the NFL 2k5 of our generation, but I was at least expecting to see a product that felt more complete, in which all the areas of on-field action seemed - at the very least - to be competent. Long-standing problems with passing, catching, and pass defense were points of emphasis this year. But as the summer went on, and all I ever heard about was some silly new "Draft Champions" mode that sounded like a half-assed fantasy football season, I really started to lose any hope and excitement that I had. Normally, I'd buy Madden used in order to keep my money out of EA's greedy hands. Fortunately for EA, the first two stores that I went to were sold out of Until Dawn, so I decided to go ahead and splurg on Madden so that I'd have something to do that weekend. The mandatory tutorial featuring a hypothetical Super Bowl 50 rematch between the Steelers and Cardinals is an absolute train wreck. 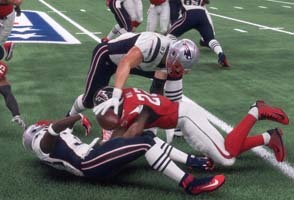 A handful of players recorded unbelievably cheesy dialogue for this sequence that seemed to imply that this year's Madden was going to put some emphasis on the personalities of the players and include some smack talk (the kind of thing that Madden '05's "Storylines" feature was going for). I thought it was weird that I hadn't heard anything about this in any of the promotional material or previews. It seemed uncharacteristic for Madden and contradictory to the NFL's careful regulation of the public image of the league. The tutorial proceeded to force me through a series of intolerably-scripted plays and highlights of its fictitious Super Bowl in an attempt to clumsily introduce me to its new passing and catching mechanics. This tutorial is ugly to watch, painful to listen to, is terrible at teaching the new mechanics, and is blatantly unrepresentative of the actual game content. I hadn't even finished the tutorial or made it to the game's main menu yet, and I was already suffering buyer's remorse. Historic players can be drafted. My feelings of buyer's remorse only grew as I looked through the new features and menu options. There seems to be a bigger and bigger push towards Madden being an elaborately-crafted system of fantasy football. I already thought that Ultimate Team was trending painfully in that direction. As silly as I think that feature is, Madden players seem to love it - so much so that EA has decided to add another fantasy football-inspired game mode: Draft Champions. As always, all EA's efforts seem to be in trying to make Madden as "game-y" as possible instead of making any efforts to emulate the deeper strategy and nuance of real football. Ultimate Team, and now Draft Champions, are the ultimate expression of that. Draft Champions is a modified 15-round fantasy draft in which you select from one of three available players in each round. You start by selecting a coach, which grants you a specific offensive and defensive play style for you team, and so you want to try to get players that best fit into those schemes - if you're lucky enough to be offered any. In the final round, you also get to chose one of three Hall of Fame historical players, such as Randall Cunningham or Rod Woodson. Once the draft is done, you play a sudden-death "season" of three games. One loss, and you're done. I complained about the rushed pacing of games in Madden 15, but the "games" in Draft Champions are only half that time! Three minutes in a quarter is not enough time to play football at all. The game even taunts you by forcing you to have to chose a coach and team style in the first round, and you'd have to be masochistic to chose anything other than "long pass" or "medium pass". Chosing "ground and pound" was barely viable with six minute quarter; it's virtually pointless with three minute quarters. A twelve minute game isn't long enough to establish any kind of "pounding" running game. All you have to do is listen to the commentary to hear how screwed up such a fast game is. Every game, the commentators talk about how it's been a "defensive battle" going into the two-minute warning or halftime - because one team had the ball for the entire half! It's nonsense! Draft Champions might be more worthwhile if you got to keep some of the players you drafted and add them to MUT. I'll grant this to the game: the second two Draft Champion games are very tense. The short time time frame and insta-death nature of the mode means you have to play virtually perfectly. Of course, that's to be expected when you start the game in a four-minute drill. And what do you get for your effort? What reward is worth this idiotic waste of time? You get some PSN trohies / XBox Live achievements, and some packs of Ultimate Team cards (most of which are just redeemable for points to buy other cards). You don't even get to keep the cards that you drafted in Champions mode - just random packs. Eventually, after you beat Draft Champions enough times, you get some elite MUT cards. Oooh... [hand waving] Why is Draft Champions even its own mode on the main menu? 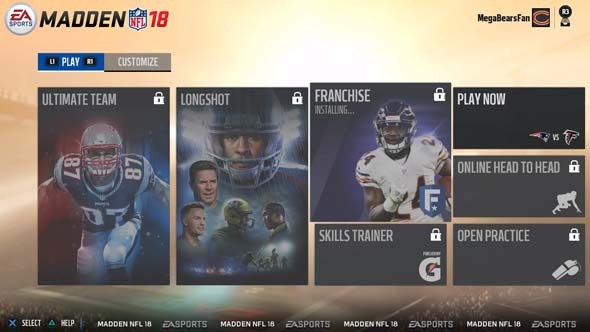 Why isn't it just an option in the MUT menu? It's basically just a fantasy draft and preseason for MUT, but you don't even get to keep the players! So what's the point?! The question that I'm left with is: has Madden jumped the shark? Is this the point where I have to just give up on the idea that EA will ever want to pull Madden back to its simulation football roots? Has it so completely diverged from what I expect from an NFL-licensed football game that I just can't take it seriously anymore as an NFL-licensed football game? I'm tempted to just not even bother with the rest of this review if this is the kind of trash that EA is going to waste their time with. If EA thinks that this is the way of the future for football gaming, then I want no part of it. Tags:Madden NFL 16, Madden NFL, EA, EA Sports, Tiburon, sports, football, NFL, simulation, Ignite Engine, draft champions, ultimate team, fantasy football, connected careers, franchise, skills trainer, receivers, catching, passing, defensive back, preseason, PS4, Odell Beckham Jr.